From October 9-12, the International Judo Federation was present in the Maheba refugee settlement in northwestern Zambia to review the Judo for Peace programme launched in November 2016. The Maheba camp welcomes nearly 20,000 refugees from nine African countries. 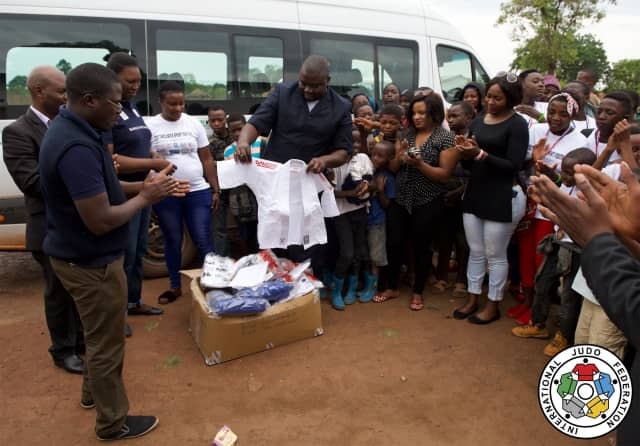 A joint initiative of the IJF and the Zambian Judo Association (ZJA), the project aims to offer children, who represent almost half of the population, and young adults, a fun and educational activity that is essential while many of them have experienced very difficult personal situations. During the visit, Mr. Nicolas Messner, IJF Judo for Peace Director, Mr. Alfred Foloko, President of the ZJA, and his team, Mrs. Diane Huffman, representing the Norwegian National Olympic and Paralympic Committee (NIF), Mrs. Birgit Ryningen, representing Judo For Fred (Norway), and representatives of the Irish Embassy in Zambia were present. 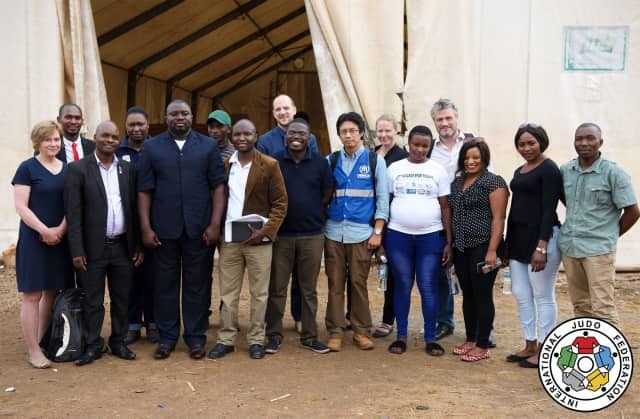 The delegation was able to meet with UNHCR's local representatives and camp officials, and could extensively talk with the project's coach, Faustin, himself a Burundian refugee who had been present in Maheba for nearly two years. Faustin, who has been assisted by other refugees for the practice of judo and by Mr. Gift Mvula for the administrative management of the project, has already done an extraordinary job in less than a year. 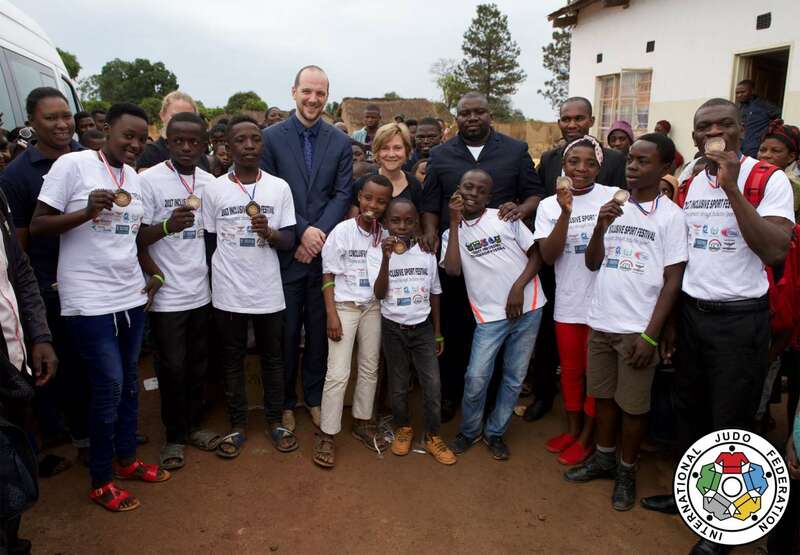 The international and the Zambian delegation's were able to witness this during the judo animation organised in the center of the settlement and which brought together all the judokas and their families. For nearly two hours, dozens of children tasted the happiness of being on the tatami heated by the sun. The laughter and the bursts of joy filled the atmosphere of Maheba. During the visit, the delegation proceeded to an important donation of judo equipments as well as clothes, which were distributed to all the young judoka and their families. Mr. Nicolas Messner, Judo for Peace Director, said: "It's amazing to see what has been done since the opening last year. We started here with 13 judoka. They are now over 100 and this is just the beginning. Despite the difficulties of life, judo gives hope." Alfred Foloko, President of ZJA, said: "This program of the International Judo Federation is very important for all these young people. But it is also crucial for our development in Zambia. We have a duty to integrate all these people and to offer them a better future. 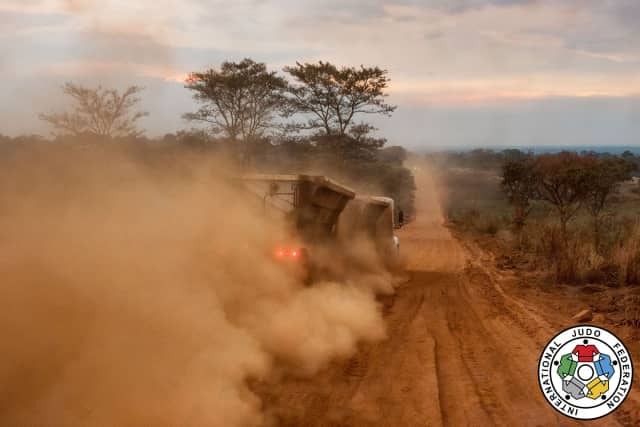 I am also very pleased to see that we are building a true partnership with the Norwegian NOC and Judo for Fred, who are already accompanying us on other major projects such as the one in Livingston, Victoria Falls." (Watch the Judo for the World Zambia:https://youtu.be/n-WJNzBQHpM). All the participants of this visit to Maheba left enchanted despite the thirteen hours of travel by road (see image below) which was required to reach the city of Solwezi which is left to Maheba. Life is difficult there, especially when you have to live in the conditions of these thousands of refugees, but sport and judo in particular certainly has a positive impact. The day after the judo animation, 43 new judoka came to register bringing to nearly 150 the number of practitioners in Maheba. 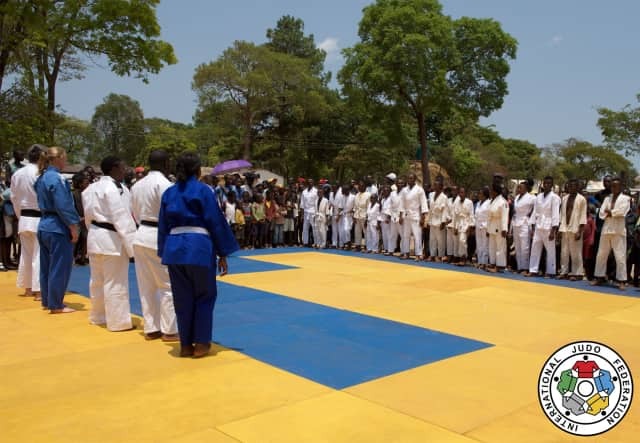 Recently, young refugee judoka were able to participate in their first competition in Lusaka, the capital of Zambia, which is a great first, and "This is only the beginning" said President Foloko, before adding: "We plan to do even more with the support of all our partners. 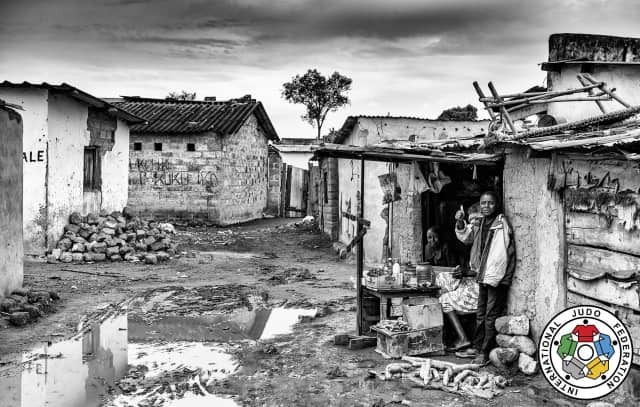 We rely heavily on the Zambian authorities and on UNHCR to support us in the months and years ahead." During the stay in the camp, an important presentation on the violence against women was also conducted by the ZJA. 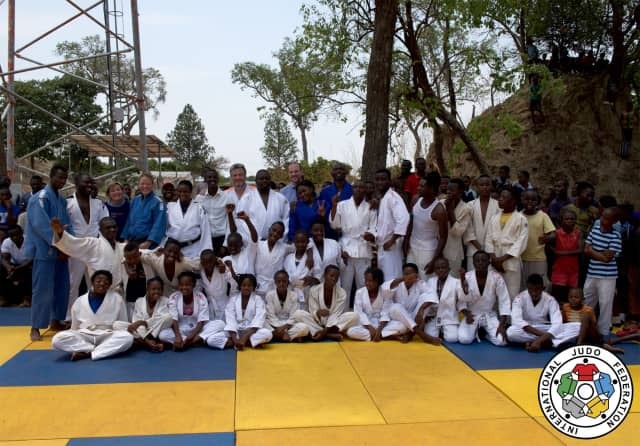 Back in Lusaka, Mrs. Birgit Ryningen (Judo for Fred) led a judo session exclusively for young women, which took place in the historic dojo of the Central Judo Club. 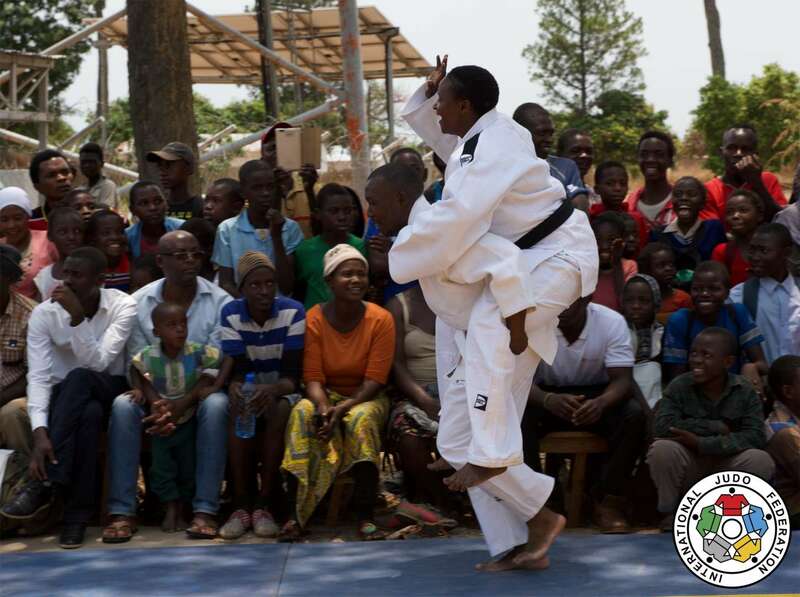 A few weeks ago, the ZJA also organised its first judo tournament only for women and organised by women. At the same time, international representatives were able to see that the IJF dojo is under construction in Lusaka with the presence of a team of IJF architects: "A tool that will help us to become even more professional," concluded Alfred Foloko, as he left the meeting evaluation of the eight-year-development-plan of Zambian judo, that was defined in 2015.